Earlier this year, we launched our first professional open source survey. Our goal? To gain deeper perspective about what can be done to make open source—especially as it is used in professional settings—work better for everyone. We wanted to better understand what professional users of open source look like and what matters to them. And we wanted to understand the needs, problems, and passions of those who create and maintain the software they use. We received over 1,200 responses, and, over the coming months, we’ll be sharing our key findings and more details about our dataset. Today we’d like to preview our first bits of insight. Let’s dig in! 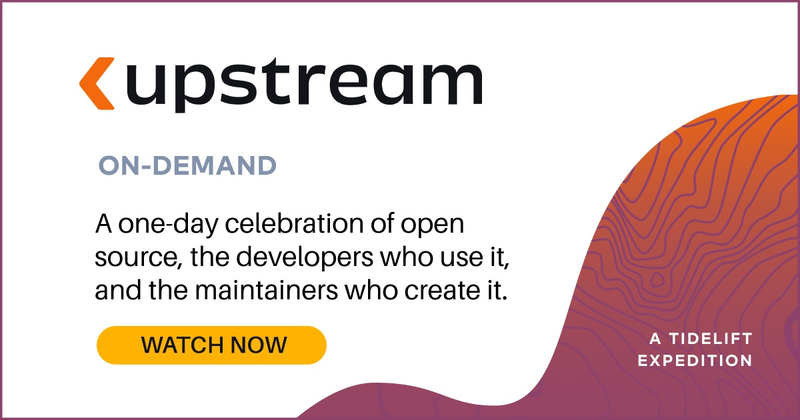 We had a pretty good sense from our prior experiences that open source is now, well, everywhere—a part of nearly every application environment. Data from the survey confirms this. 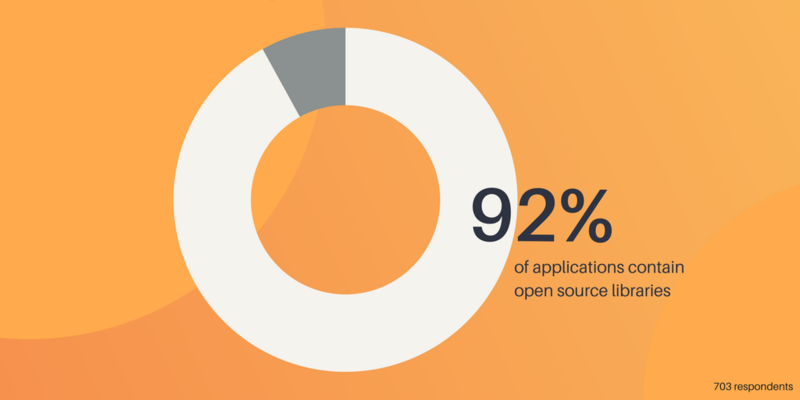 According to those we surveyed, 92% of their applications contain open source libraries. 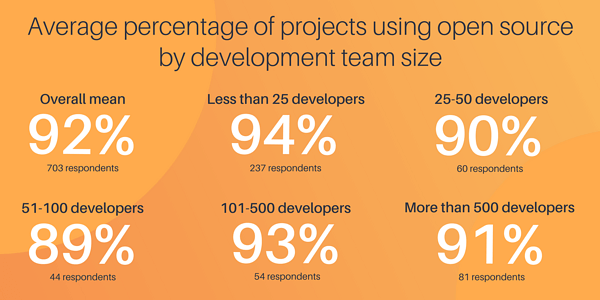 In fact, more than two thirds of survey respondents said that 100% of their applications make use of some open source dependencies. Even those that didn’t report the 100% figure still said that the majority of their applications have open source components. What does this mean? Open source is critical to the commercial software development process. It’s truly ubiquitous. How else does this ubiquity manifest itself? Further breaking down the data, we can see that this reliance on open source isn’t unique to a certain geographic subset of developers, but rather, it can be seen worldwide. 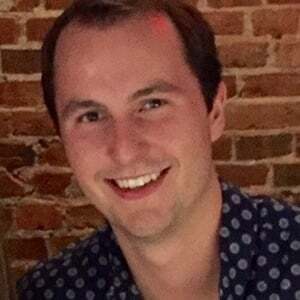 Whether looking at Europe or North America (where many of our participants live), or in the collection of responses from the rest of the world, the data remains consistent: open source components are included in almost every single application built by commercial developers, regardless of where it is being built. Open source truly is everywhere. So if everyone is using it, and everyone relies on it, the question remains: how can we make it better? Turns out our survey respondents had some ideas about that too. If you’re interested in hearing more of our findings over the coming months, be sure to subscribe to updates from the Tidelift team and follow us on Twitter.